Quite a bunch of pundits and scholars had hoped for a realignment in US-Russian relations after the inauguration of Donald Trump as US President. At that time bilateral relations between the great powers had long been on a downward spiral and essentially rotten when Obama left the White House. As we all know now, relations have not only not improved, but gotten even worse. 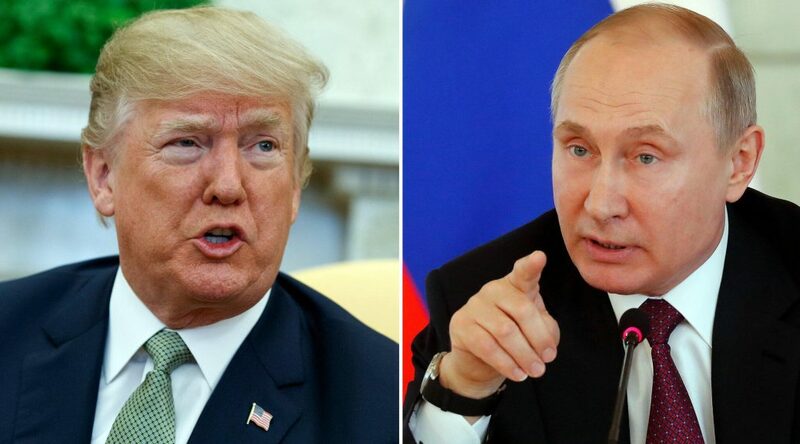 Despite all the high-level tweets by Trump cozying up with Putin, Trump never had a comprehensive strategy how to improve relations with Russia (and neither had Russia). Besides, with all the allegations of election meddling, the Russia topic became toxic among the swamp, the Washington foreign policy establishment. Any gesture Trump would have made towards the Russians would have been interpreted as a sign of Trump’s (illegal) beholdeness to the Russians. In addition, in Trumps own security cabinett (Mattis, Tillerson, McMaster, Kelly) and even more sore in the US congress strong veto actors forestalled any improvement of relations with Russia. This has gotten even worse with the newcomers in the inner cabinet – Pompeo and Bolton. There are three areas, where US-Russian cooperation would be essential. First, both sides have to recommit to legally binding arms control. Russia, after having modernized its nuclear arsenal, offers to talks about preventing a new arms race. The US, has only just started its modernization and will never stop it, despite its high cost. The Russians want to further decrease strategic offensive weapons only, it strategic defensive weapons like BMD are included. This will not happen. The US refuses to negotiate on Global Prompt Strike systems, Russia meanwhile develops its own. When it comes to low-yield weapons the estimate is to have even more of them in the next year. To cut it short, disarmament is not on the agenda. The most optimistic scenario is both sides agreeing on the extension of New Start in 2021 by another five years. A modest goal, but far from assured. Even this will not be possible, if both sides are unable to sort out their differences over alleged non-compliance with the INF-Treaty. Another area of distinct importance is a political solution for the internationalised Syrian conflict. As it has turned out, Russia’s endgame in Syria is much more difficult than the Russians most likely have expected. The troika of Russia, Turkey and Iran has not yet been able to find common ground with any reasonable bunch of Syrian rebels. Russia’s influence on the Syrian regime is more limited than expected. Turkey is an actor too difficult to control. A political solution therefore seems a long way down the road. US efforts for now seem to be to make life more difficult for the Russians, realign their regional allies and widen the scope of interests in Syria well beyond the extermination of the IS. The US and Russia will not see themselves on the same side of the process of finding a political solution. A third area of necessary cooperation is the Ukraine crisis. More and more the US sidelines France and Germany in the effort to find a solution for this internationalised armed conflict. Minsk 2 is essentially dead, ill-designed, with failing military obligations on both sides and the Ukrainian government unwilling and unable to meet it political obligations under the Agreement. US conditions for accepting a Russian proposal to send a UN mission the seperatist regions seem inacceptable for the Russian side. Ukraine regaining control of the bilateral border with Russia in the regions of conflict has been set as the ultimate concession for legal concesssions to the Donbass by the Ukrainian government. Russia would not want to alter the sequence. The EU stands on the sidelines on many of these issues. It’s not a serious player (and in some cases never was). Institutionalised dialogue with Russia was cut back in March 2014 and the EU member states are divided on how to proceed with Russia. As things stand, the course will still be set by France and Germany, but several countries are demurring at it. The sanctions imposed by the EU have punished Russia and signalled Russia that the EU condemns Russian actions in Ukraine. Yet, Russian politicies based on vital interests have not been changed. So how will the EU proceed. Continue with the mess in bilateral relations with Russia? It so will happen. Containment, but not engagement is on the EU table. In the current situation, the West is not in a mood for concessions. But neither is Russia. If it wants to see an improvement in mutual relations it needs to make concessions too. It’s not that the West will finally decide to take Russia as it is and start with business as usual. Russian ideas and proposals for mutual rapprochement are lacking. If both sides stick to containment and deterrence, rapprochement will be long down on the road. Didn’t work out for Russia in the last decades, it is not going to work out now. The EU will do as it is told. That is the reason it exists. Russia’s long game is to ensure domestic security, strengthen relations with China and through incremental progress eventually push the US back. This strategy will likely be successful. In response to the Russian/Chinese strategy of incremental improvement the US has to bring things to a conflict in the near term, where it will still have perceived strength. The Americans will bring hell to Europe, again.